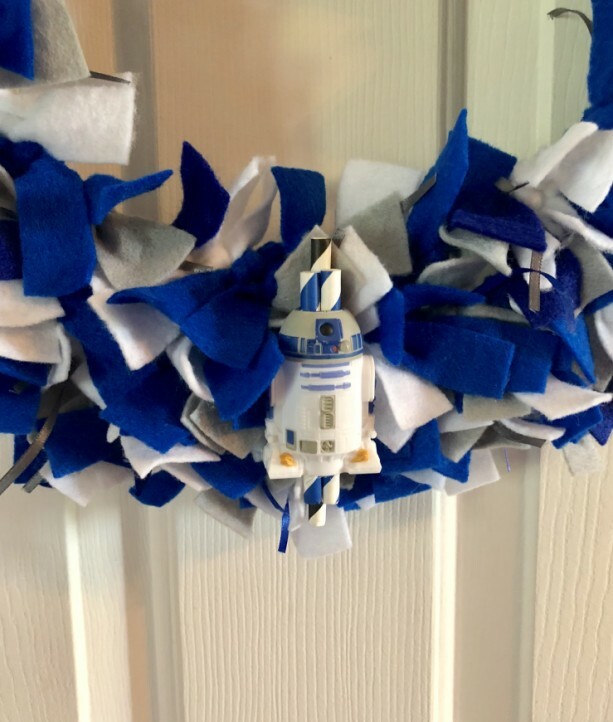 Sweet upcycled astromech droid helps out in space ... and on your front door! 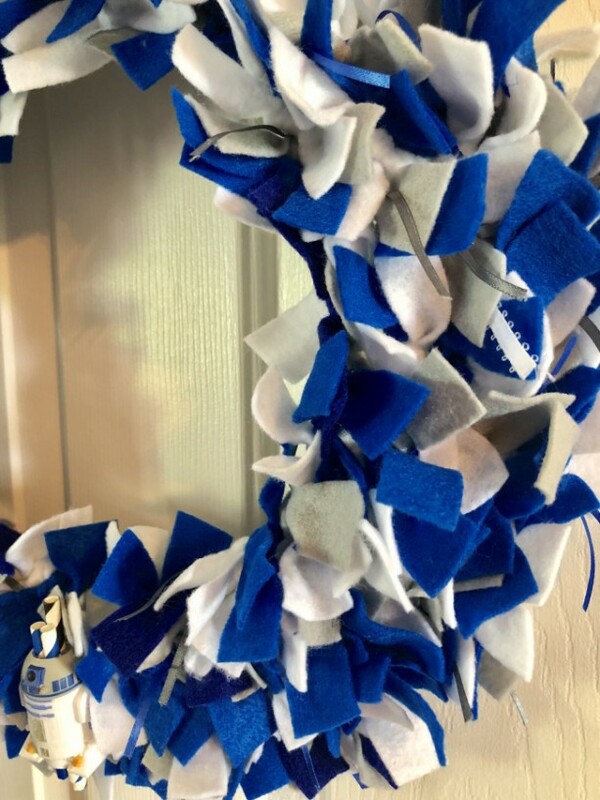 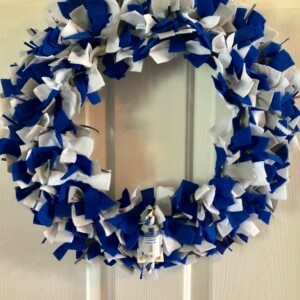 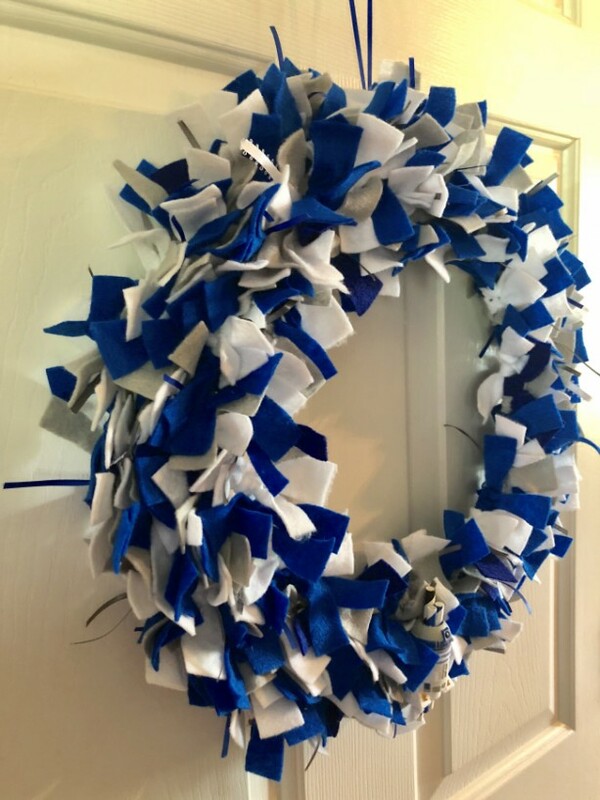 Blue and White R2D2 wreath made with hand tied and cut felt and ribbon. 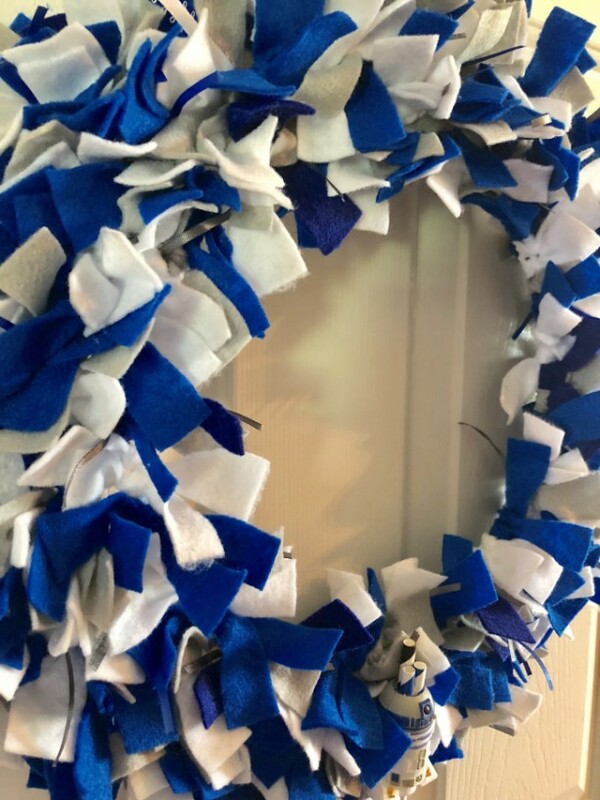 Bright and dual color hand-tied felt wreath just in time for any season and reason, for all space lovers! 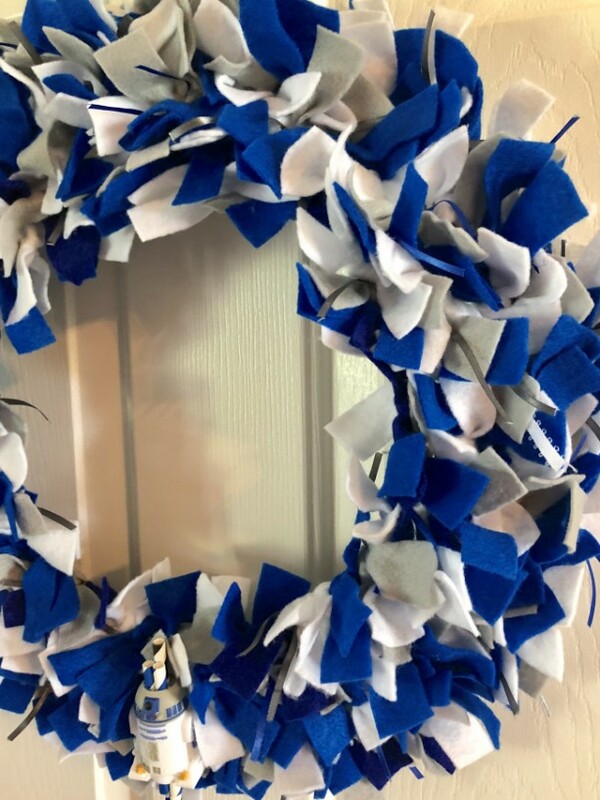 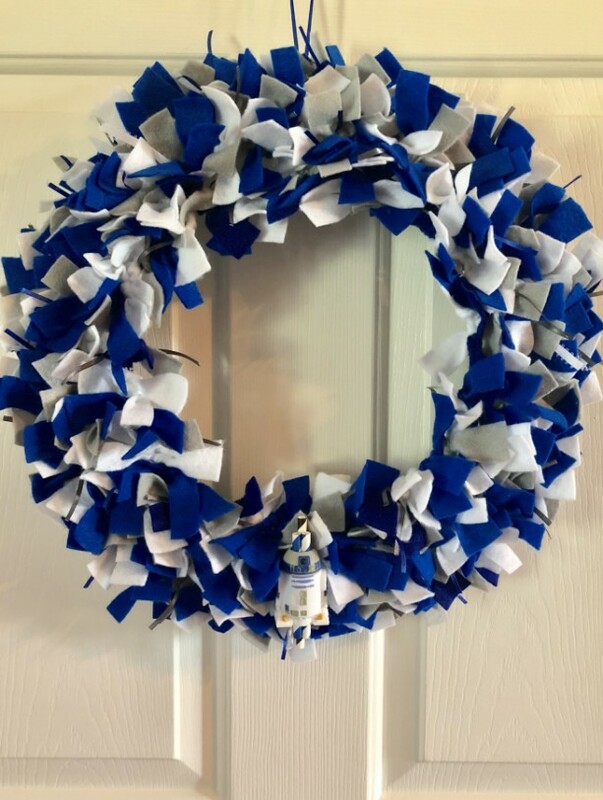 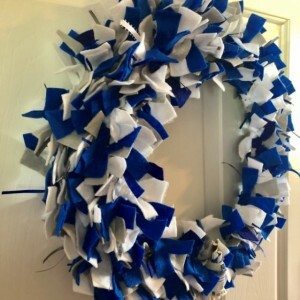 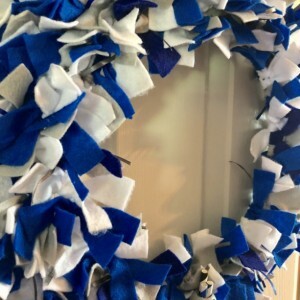 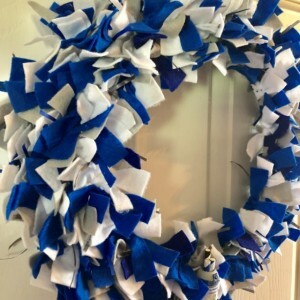 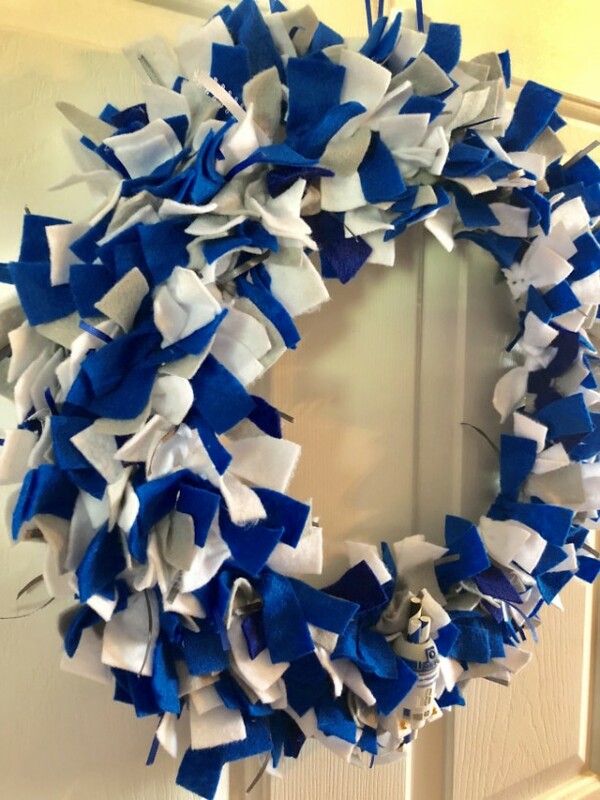 Wreath features felt in white, blue and grey, and coordinating ribbon in white, blue, and pewter. 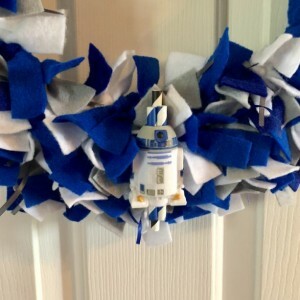 A simple but eye-catching repurposed R2 droid sigts on the bottom of the wreath, and is decorated with swirled paper for a pop of color. 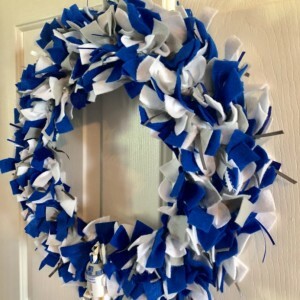 This door decor is sure to stand out from the rest! 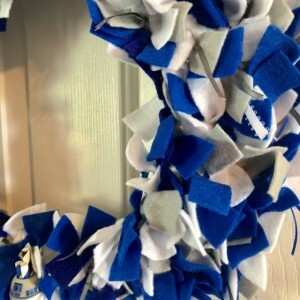 A coordinating thin orange ribbon is tied to top for hanging. 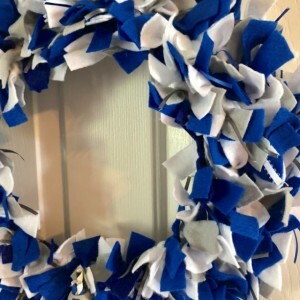 This wreath measures approximately 14 inches, a great size for a statement piece! 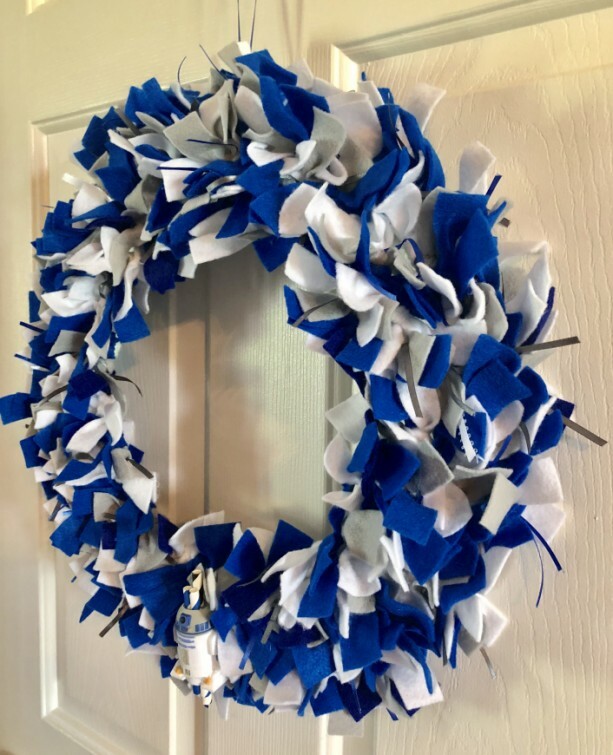 All items come carefully packaged in reused and reusable packaging to insure an economic and earth-friendly trip from my home to yours.